Just after Christmas, British Airways scrapped fuel surcharges on its short-haul flights. They didn’t tell anyone and no-one noticed. Even on Flyertalk, just about no-one noticed. Including me. I will explain why in a minute and also explain why this IS actually a big deal. The first thing to note is that cash tickets are unchanged. The fuel surcharge – technically known as YQ – has been reduced to £0 on short-haul but the base fare has been increased by the same amount. Nothing changes if you are buying cash tickets. Let’s move on to Avios redemptions. The Reward Flight Saver fee is unchanged. This remains at £35 return (£17.50 one-way) in Eurotraveller and £50 return (£25 one-way) in Club Europe. However, if the new taxes and charges are less than the RFS fee, BA will now charge you the lower amount instead. This is why no-one noticed that the fuel surcharge had gone. If you book a one-way or a return flight from the UK, your taxes and charges bill will ALWAYS be higher than the Reward Flight Saver fee. Air Passenger Duty and the shockingly high £30 Heathrow passenger charge sees to that. There is a clever way to save some money, however. Going forward, you should consider splitting a European redemption into two separate bookings (unless you are using a BA Amex 2-4-1 voucher). The outbound flight will be charged at the Reward Flight Saver one-way rate which is £17.50 in Eurotraveller or £25 in Club Europe. This is substantially lower than the Air Passenger Duty and £30 Heathrow passenger charge, even with no fuel surcharge. Taking London to Dublin in Club Europe as an example, your pre-Christmas taxes and charges figure would have been £50. Even today, if you book a return from London, it will be £50. However, book a one-way to Dublin and a one-way back to London and your total taxes number is £33. This saves you £17 per person. If your plans are tentative, you might lose out with this strategy. Remember that BA charges the lower of £35 or the taxes paid if you cancel a flight. Take the Hamburg example above. Yes, you save £9 by booking a Club Europe trip as two one-way flights. If you cancelled, however, you would lose £25 on the outbound booking and £16 on the return, making a total cancellation fee of £41. Had you booked a Club Europe return flight, the cancellation fee would have been £35 as you are just cancelling one ticket. There is no ‘cancellation risk’ in Eurotraveller because the most you can lose is £17.50 each way (ie the RFS fee) which is the same as paying £35 to cancel a return ticket. In general, though, this is good news for British Airways Executive Club members. It is even better news for anyone who books British Airways short-haul flights using On Business points or miles from another oneworld frequent flyer programme. These people previously had to pay the full tax and charges amount (no RFS cap) and so they will see the full benefit on the removal of the short-haul fuel surcharge. For some reason these changes have not (yet?) filtered through to avios.com. You will need to move your Avios points from avios.com to British Airways Executive Club via ‘Combine My Avios’ to take advantage of these lower taxes. …. there is no sign yet of any movement on the YQ figure attached to long-haul flights! Should have said in my earlier comment that last Jan Avios.com had a sale where they dropped the RFS altogether. Any sign of that happening again? Seems not. It started very early in January so we are already 9 days past the anniversary date. This option didn’t work for me when I looked to TXL -LON it still shows 17,50 🙁 Am I missing something? Germany has its own version of APD which, combined with the TXL passenger charges, presumably pushes the taxes above £17.50, hence it caps at that level. Remember, this is only working for redemptions using BAEC accounts. As an aside does anyone know why fuel surcharge is broken out as a different segment of the ticket? Whats the advantage/disadvanatge of doing this? And why has BA now changed this into the base price? If a company strikes a deal with BA, it will usually be excluding fuel surcharges. Let’s assuming BA agrees that Goldman Sachs can buy tickets to New York for £1,500 return. 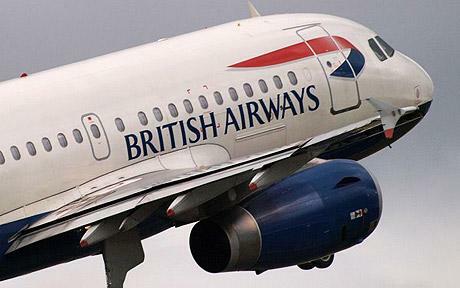 The contract will allow BA to add the fuel surcharge on top. Same with redemptions. The only other reason to use YQ is that I believe fully flexible ticket fares can only be changed twice a year under IATA rules at the start of the Spring and Autumn timetables. YQ is meant to be a temporary measure to allow an airline to adjust to a spike in oil prices until it can reset fares at the next timetable switch. It doesn’t make any difference to your average cash ticket buyer whether it is added to the base fare or not. Kathryn] Welcome to Avios, my name is Kathryn, how can I help you? [Visitor] Hi, I notice that using my BAEC AVIOS account, BA have dropped the fees on my intended redemption, but note that this is not that case on Avios.com. ? [Kathryn] Let me check that for you. [Kathryn] What dates are you looking for please? [Kathryn] Thanks. Let me check that for you. [Kathryn] You’d need to check this with BA as we’re not aware of any price changes here at the moment. [Kathryn] Do you need any help with your account today? [Kathryn] Ahh ok I see. At the moment we’ve not been made aware of any price changes here. [Visitor] Doesn’t seem right, as you are both part of IAG and if the RFS fee is more than the actuals, seems very wrong. Perhaps this needs to be queried upstream please? I will obviously book my flight using BAEC as for four of us that is a saving of £42! [Kathryn] I’ll certainly be bringing this to the attention of my manager. Very sneaky of BA, but business is business. More competition is needed, and BA really needs to wake up to the fact they can no longer be seen by many as a “premium” airline. I have recently cancelled 3 x CE returns due to their “improvements” to the EU cabins, as an example, and rebooked in Y with LH. Rob, regarding the potential risk of having to cancel 2x one way bookings: this would only be a downside if booking in CE. If booking in Y the MOST you’d lose from 2x cancelled one way bookings would be £35 which is no more than what you’d lose on 1x cancelled round trip booking. Am I right in thinking (with reference to the live chat trascript above) that this “trick” still doesn’t actually work on Avios.com? I did try a single flight from Prague to London and it showed at £17.50 in economy. Yes, seems so. But you can move your points to ba.com instantly via ‘Combine My Avios’.